In November 1961, a new Knights of Columbus Council 5211 was charted and named for the late Rt. Rev. Monsignor Vitus Graffeo, P.A., past pastor of Immaculate Conception Parish (1914 - 1956). 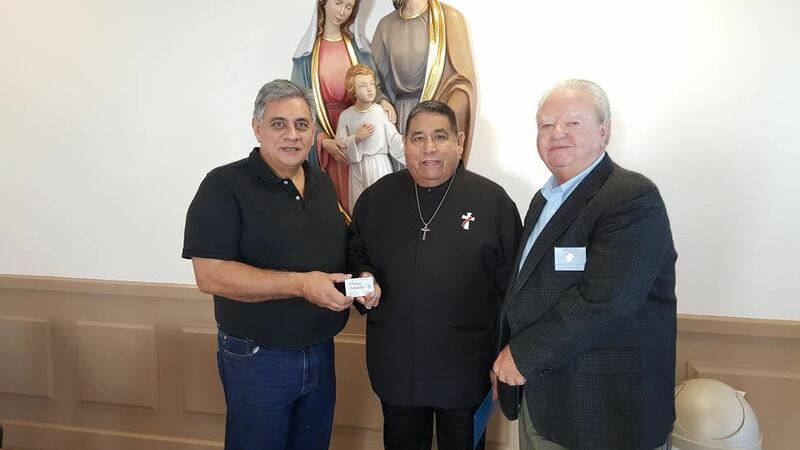 The Knights of Columbus have remained constant throughout the years serving our parish. They are very generous with the use of the KC Hall to other organizations for meetings and holding fund raising events at their facility. In November 1995, Bishop Tschoepe came to Corsicana to dedicate the facility and the orginal building in the memory of D.E. Harrison. There is a montly business meeting on the 2nd Thursday of every month at 7PM. All active members are encouraged to attend. Please have your membership card with you to attend. There is a monthly open meeting on the 4th Thursday of every month at 7PM for members, their families and for anyone seeking information about the Knights.